We are delighted to announce that the Brewer Smith Brewer Group (BSBG)-designed JA Lake View Hotel is at an advanced stage of construction, with completion set for later in the year. 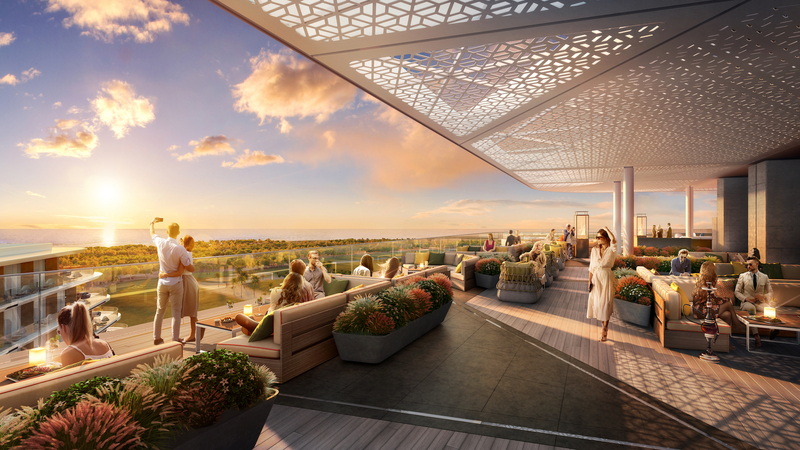 The new 5-star development focuses on providing a unique and engaging guest experience from initial arrival, exploiting its picturesque setting, and architecturally referencing the context of its surrounds within each design element. Situated in a prime corner site overlooking the golf course, JA Lake View Hotel is located within JA The Resort, which also comprises JA Beach Hotel and JA Palm Tree Court. The hotel features 348 rooms and suites, a vast atrium space, an all-day dining restaurant, gastro lounge, an Indian restaurant and a rooftop bar. BSBG developed the concept from a pre-existing vision and is providing multi-disciplinary services on the project through to completion, including the roles of Architect, Lead Consultant, Interior Designer, Structural Engineer, Contract Administrator and Construction Supervisor. The hotel’s design narrative is founded upon aspirations of creating distinct connections between the architecture and surrounding environment. 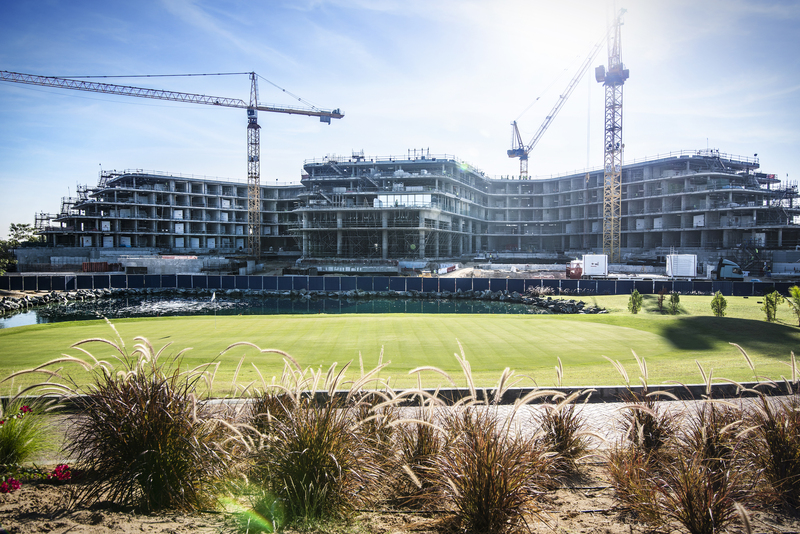 The raised hotel frontage, which includes the pool and leisure areas, optimises views across the golf course and presents a seamless transition between resort and the lush, peaceful setting. Throughout the hotel, a similarly seamless connection between architecture, interior design and landscaping is as subtle as it is compelling – with authentic feature elements, patterns and materiality offering a smooth continuity between all areas and outlets. 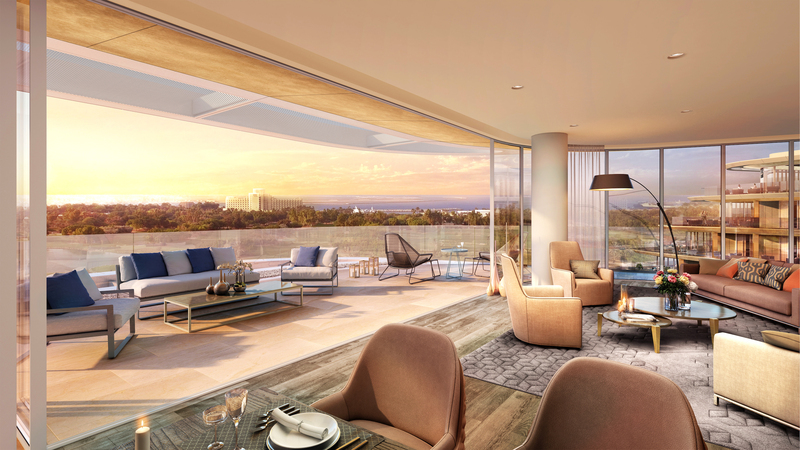 The elevated guest drop-off and entry point allows visitors a remarkable view upon arrival, directly through the large atrium space and out across the golf course towards the ocean. This immediate perception of the relationship between hotel and nature is a recurrent theme, expressed in a variety of design features throughout the development. Commenting on the announcement of the resort, William Harley-Fleming, Cluster General Manager of JA The Resort, said: “We are delighted to announce that JA Lake View Hotel will be added to our iconic flagship resort. Work is well underway, with the project team in the interior fit out stage, ready for our September 2019 opening. With the addition of JA Lake View Hotel, we can now offer three different styles of accommodation to our guests, as well as even more restaurants, lounges and leisure facilities in one incredibly beautiful destination. The new property will spearhead the repositioning of the resort and help to solidify its standing as one of the most recognised family-friendly resorts in the UAE.” BSBG Managing Partner Alistair McMillan offered his thoughts on the project, which marks a return to JA The Resort, where 10 years previously BSBG completed the refurbishment of JA Beach Hotel. “BSBG has enjoyed a long-term partnership with the client, Dutco Group. This relationship has produced many outstanding projects over the years, and JA Lake View Hotel is another exemplary example,” he said. “The resort will provide a five-star guest experience within a beautifully sculpted and meticulously planned development, which epitomises contemporary, sophisticated hotel design.” The next blog in our Hotel Design series focuses on the JA Lake View Hotel Gastro Lounge, which explores the interrelationship between indoors and outdoors. 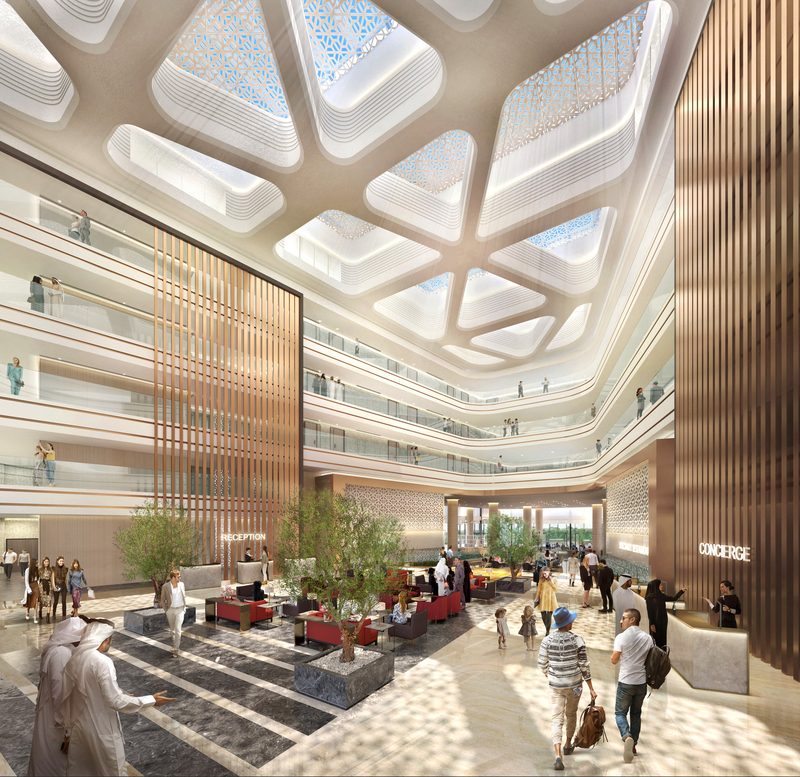 For more details on the hotel, visit the project page here.